Loan amount: Business loan rate in ICICI Bank depends upon the loan amount you apply for. Higher the loan amount, lesser will be the interest rate. Bank gives loan of minimum Rs. 1 Lakh to upto Rs. 40 Lakh. Interest rate for high loan amount can be lower resulting in lower EMIs. CIBIL Score: ICICI Bank offers loan at higher interest rate if your CIBIL score is low or vice versa. However, to get loan from ICICI Bank, your CIBIL score should be atleast 700. Higher the CIBIL Score, higher the chances of getting a loan at lowest business loan interest. Revenue: ICICI Bank will offer you loan at lower interest rate if you have higher monthly revenue. Bank gives loan to the borrowers whose annual turnover is at least Rs. 60 Lakh. Time in Business: ICICI Bank offers loan at lower rates if you have significant business experience. Minimum business existence to get loan from ICICI Bank is 36 months. Age: Age plays an important role to know your eligibility and repayment capacity. ICICI Bank offers loan to those who are at least 25 years old at the time of loan approval and maximum 65 years at the time of loan maturity. Loan Amount: Based on the loan amount eligibility, bank gives you loan ranging from Rs. 1 Lakh to Rs. 40 Lakh. To improve chances of approval, apply for a loan amount that you can comfortably service. Profitability and Revenue: Loan eligibility significantly depends upon profitability on your turnover, revenue and profitability. ICICI Bank requires profit for minimum 2 years and minimum business turnover of Rs. 60 Lakh. Business Stability: Future business prospects and its stability is important to improve your eligibility for business loan. ICICI Bank requires minimum business track record of 36 months. The bank will also look for minimum growth in sales for the last three year. A decline in sales for a certain period or below a certain limit might impact your eligibility to get loan. CIBIL Score: When checking loan eligibility, ICICI Bank will look at the complete CIBIL report. ICICI Bank will check your repayment history for all current and past loans and credit cards. Bank advise you to maintain a score of 750 and above to get loan approval. Interest Rate: Higher the interest rate, higher will be the EMI. For a 36 months loan from ICICI Bank at an interest rate of 16.49% per annum, EMI will be Rs. 3,540 per Rs. one lakh loan amount. At an interest rate of 18.99% for the same loan, the EMI will be Rs. 3,665 . Loan tenure: Longer the loan tenure, lesser your smonthly EMI. At interest rate of 16.49% per annum, the EMI on ICICI Bank business loan would range from Rs. 9,096 to Rs. 3,540 for loan tenure ranging from 12 to 36 months. Amount Borrowed: ICICI Bank Loan EMI will be high if you apply for a high loan amount. For amount borrowed Rs. 1 Lakh, the EMI at 16.49% for 36 months would be Rs. 3,540 . Similarly for amount borrowed Rs. 40 Lakh, the EMI at 16.49% for 36 months would be Rs. 1.42 Lakh. This loan is for first time borrowers or businesses which are newly started. This is a collateral free overdraft facility available for existing customers of the bank. This loan is provided to the customers based on their past transaction history without the need of audited financials. This loan is for self employed who need finance for import and export of products. This loan can be taken to make any kind of operations and expansion in school and college. This loan is for retailers and merchant establishers to get loan based on credit card swipes at counters. Why to take business loan from ICICI Bank ? Bank offers loan at 16.49% rate with the lowest EMI of Rs. 3,540 per lakh. If you are paying EMI more than this then you can opt for balance transfer and relocate your loan to ICICI Bank. What is the interest charged on ICICI Bank business loan? Interest rates on Business loan in ICICI Bank are very attractive starting from 16.49% to 18.99%. Bank offer various offer for self employed professionals to get loan at very low rate of interest. What is the lowest EMI per lakh on business loan from ICICI Bank ? If you apply for loan from ICICI Bank, your lowest EMI per lakh will be Rs. 3,540 . What is the minimum and maximum tenure of business loan in ICICI Bank? These loans are shorter tenure loans. You can repay your loan in a flexible period of minimum 12 months to maximum 36 months. 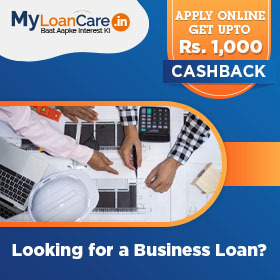 How much business loan amount I can borrow from ICICI Bank? ICICI Bank offers you loan if you need a minimum amount of Rs. 1 Lakh to a maximum amount of 40 Lakh. What is the processing fee charged by ICICI Bank on business loan? ICICI Bank charges a processing fee of Starting from 0.99%, Up to 2% with applicable tax. Is age an eligibility factor to get loan for business from ICICI Bank ? What are the prepayment charges on business loan from ICICI Bank? Bank charges a fee in case you want to repay your entire loan amount before the end of tenure period. The fee charged by ICICI Bank is 5% . Earlier this week the Reserve Bank of India (RBI) on has named State Bank of India (SBI), ICICI Bank and HDFC Bank as Domestic Systemically Important Banks (D-SIBs). The banks will have to set aside more working capital to continue their banking operations as per these norms. SBI has to set aside 0.60% from April 1, 2019. While ICICI Bank and HDFC Bank have to set aside 0.20% and 0.15% now. The lenders including SBI, PNB and ICICI Bank are planning to increase their lending to the corporate sectors. SBI has reported a 20.67% growth in total corporate lending at Rs. 7.74 lakh crore as against Rs. 6.42 lakh crore in the same period last year. PNB also saw a 28% growth in medium enterprise loans, while ICICI Bank has witnessed a continued growth at 10% in domestic corporate lending, excluding restructured loans, among others. To offer solutions to the current account customers of the bank, the bank has partnered with YNOS Engineers Partners. Under this arrangement, current account holders of the bank would enjoy customised dashboards that will provide relevant insights to the business owner to scale growth. Additionally, the ICICI Bank customers will also get a discount of Rs. 495 on the subscription price for online offerings and Rs. 1,000 on personal consultation. In a bid to provide regular credit to MSMEs, ICICI Bank has signed a Memorandum of Understanding (MoU) with Small Business FinCredit India Pvt. Ltd. (SBFC). The agreement enables MSMEs to obtain loans up to Rs. 1 crore for a tenure of 15 years. Besides this, the bank will also co-originate loan against property with SBFC at a mutually agreed ratio and the flow of funds from the ICICI Bank will help customers to aid their businesses in a seamless manner. Private sector lender, ICICI Bank has recently introduced Money Coach, India’s first and only software robotics algorithm-led investment advisory application on mobile. Money Coach will enable customers to analyse their customer’s financial transactions, financial health report keeps an eye on the credit card usage and evaluation of their capability to repay personal, home and business loans.